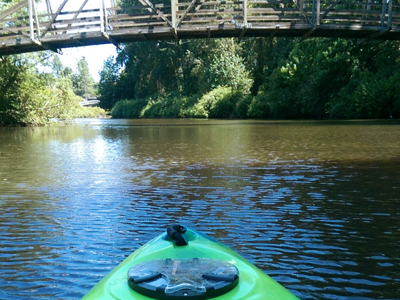 Option 2) Join us on a one-way paddle from Bothell Landing Park to Log Boom Park in Kenmore or vice versa. Take a ride on a single or double Sit-On-Top Ocean Kayak and make your way to your destination VIA Sammamish River and Lake Washington. Think ahead and plant a car or bike at your destination or simply walk the Burke-Gilman Trail back.